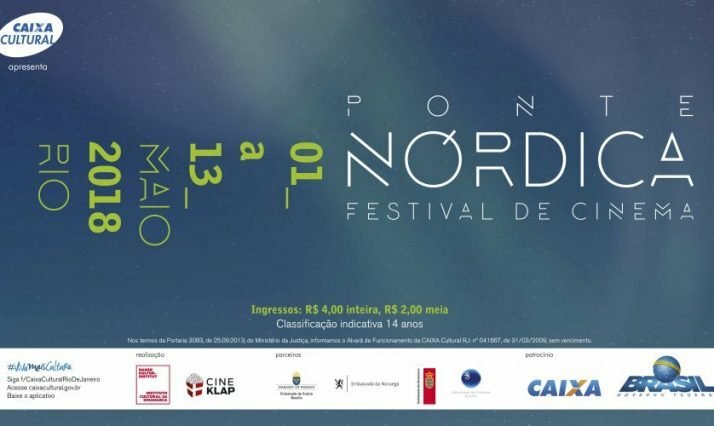 Brazilian film curator Tatiana Groff is DCI’s anchor of Ponte Nordica Film Festival, that brings film from the North to Brazilian cinemas. How does she approach the curatorial practice and what does she think makes Nordic films special? Great storytelling and excellent scripts are some of the qualities Tatiana mentions. An exchange visit in Denmark 20 years ago started Tatiana’s interest in Danish culture, which she has brought with her into her professional life. Films pushes people from their own perspective into the perspective of the other, in other words, films have the power to generate empathy. This concept is more than 100 years old and it continues to generate innovation and create technologies and the desire for change. Concerning the specific relationship between Brazilian moviegoers and Nordic film, Tatiana gives a short account of how international and Nordic cinema has developed an audience in Brazil. International cinema from all over the world always attracted the Brazilian audience. Brazilians in general always loved creative image production, especially worldwide cinema. A great example is that Brazil have one of the oldest International Film Festivals in the world, created in 1977 in São Paulo. This film festival, created during the dictatorship in Brazil, was probably the only democratic environment that people had, because since its very first edition São Paulo Int’l Film Festival has chosen its Best Film by public vote. That was the first entrance for films from all over the world in Brazil, long before globalization and the internet. The former director, Leon Cakoff, who died in 2011, was the person in Brazil that linked the great festivals from the rest of the world and Brazil, bringing filmography from everywhere, including the Nordic countries. That’s how the Brazilian audience started to know about and have access to Nordic Cinema, and they became familiar with Nordic classics made much before, like Bergman’s masterpieces from Sweden and the legacy of Dreyer from Denmark. French poster from one of Carl Th. 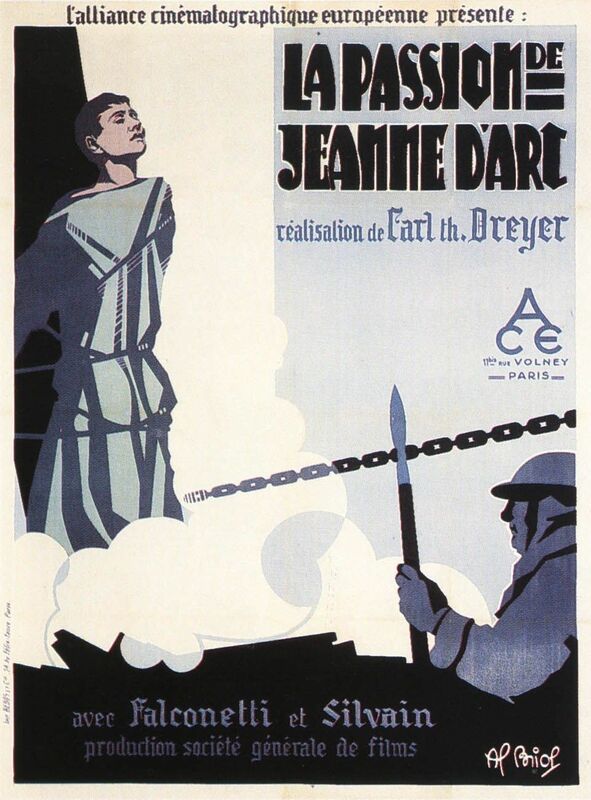 Dreyer's critically acclaimed movies - "The Passion of Joan of Arc"
So, since the 70’s, Brazilians have been in contact with Nordic cinema and in the 90’s the international presence developed a lot in Brazil. Other International Film Festivals started to emerge, Rio Int’l Film Festival initiated something completely new, by being an international film market as well. Because of these initiatives, nowadays, we can have one or two Nordic films in cinemas, every year in Brazil. And it’s not only at the festivals people have the opportunity to watch Nordic films, but also in commercial and/or indie cinemas. But one thing is having access to films from the cold North, another is what the Nordic tradition contribute to the world of movies. Tatiana has a clear answer for this. Primarily Nordic cinema means a great story! It is well-known that Nordic cinema is synonymous with great storytellers and great scriptwriters. The Nordic countries also offers amazing script doctors, professionals that polish specific aspects on structure, characterization, dialogue, pacing elements and any other aspects of scripts, that helps films, not just from the Nordic countries, but from all over the world, connect with audiences. In other words, they help perfectly delivering a proper, meaningful story. In recent years, there has been heightened interest in TV series compared to films. This has also been the case for several Nordic productions. Tatiana Groff explains how this trend has been spreading. 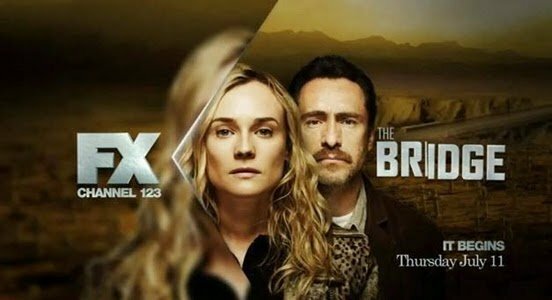 “The Bridge” and “The Killing” opened doors for Nordic TV series, first in England and then all Anglo-Saxon countries, especially Australia and New Zealand. This also sparked interest in North America, both in the United States and Canada. Eventually both series were remade by the American industry. An English-French coproduction has also remade “The Bridge”, with the title changed to “The Tunnel”, which has received worldwide attention too. By this point, it was not only the English-speaking world that paid attention to Nordic TV Series. This way, Nordic detective series arrived on the Brazilian market as well. The English speakers were getting a diverse selection of possibilities, concerning subject matter. Instead of being offered nothing but detective stories. People got familiar with the Danish TV Series “Borgen” (about intrigues at the Danish parliament) at the same time “House of Cards”, an American politically themed TV Series, had a phenomenal impact worldwide. Nordic productions, in this case, the Danish TV Series development, stepped forward, regarding new and different themes for TV Series. I explain all this to show that the Nordics are often one step ahead, when it comes to what audiences want to see, both in TV, cinema and other audiovisual languages. Like when the series called “The Legacy” came out, it was right when people were more about fancy stories on forgotten secrets. But successes like this don’t come from nothing. It’s directly connected to the quality of Nordic Cinema for the last many decades, without it, it would just be impossible to shine this way worldwide, mentor the American industry and captivate the British audience. Just to mention the effect Nordic TV series has made on those two countries. To keep examples like those in the above section coming, the right framework has to be in place. One part of this framework is having knowledgeable professionals search out the best films and series worldwide and provide platforms for them to jump into the global consciousness from. This is one of the main roles of the film festivals. Film festivals generates contents for the market. It categorizes the main films of the year, by their marketing and publicity, awards, media coverage, and so on. Curated content works as market supply, it’s not the other way around. Nowadays, with a great amount of content, especially VOD, video on demand, you can check out the festival selections to avoid wasting time, because they put content in different contexts that are easy for people to navigate. The Oscar contextualizes mainly American films and secondarily foreign films that appear internationally for a very general audience. 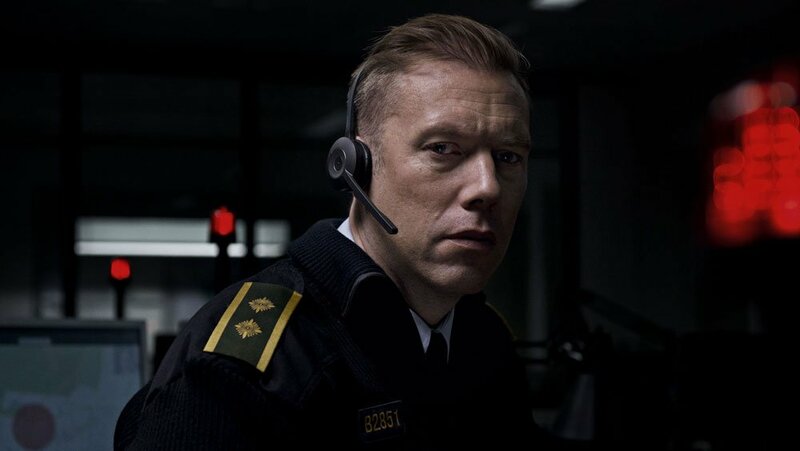 This year, the films "The Guilty", by Gustav Müller, "Winter Brothers", by Hlynur Pálmason, and "Lucky Per", by Bille August, has been chosen by representatives of Danish film. The still is from "The Guilty". On the other hand, the main festivals from the world – Toronto Film Festival in the Americas, Berlin Film Festival in Europe and Busan Film Festival in Asia – categorizes films from everywhere, which helps the selected films reach a massive audience. This explains the question being raised right now, if Netflix should be present at film festivals or not. The topic has been considered at the Cannes Film Festival and has since reverberated at other film festivals in many countries, in this connected world we live in today. So, what is Tatiana’s own curating approach? The very first step is to create a very strong concept, which guides the curatorial path. The second step is to provide a structure for the concept. After the initial structural phase, you need to develop a guideline for the selection of films, which ties in with complementary activities touching on important contemporary issues. Concerning Nordic content, it takes continuing research and studies, following the whole production chain, planning, development, production, debuting at festivals, movements on the market. I follow the film institutes, production companies and distributors all over the Nordic countries. But curating Nordic content also has to do with knowing how to connect it with the Brazilian public and cultural context. So, first I have to know about the specifics of Nordic Cinema and the individual traits in each country; styles, themes, waves, etc. Then I have to take that knowledge and connect it with a specific curatorial concept, which has to match the taste of the Brazilian public. One of the main selling points for Nordic Cinema in Latin America is that it provides a glimpse at very different societies in a very different climate. Finally, we asked Tatiana to tell us something about what Latin America cinema has to offer the world right now. Brazilian and Latin America cinema in general, are colored by diverse societal aspects, both culturally and politically. Social Cinema has been strong in Latin America, especially in Argentina, which is probably the most mature Latin American country in cinema, both creatively and concerning production. You would also have to mention Mexican Cinema, Colombian Cinema and at the moment, Brazilian Cinema have actually taken a positive direction, with good international feedback. What Latin American, including Brazilian, Cinema offers is a very deep connection with the historical trajectory of the individual countries and a willingness to tackle the immediate situation too. Melting reality with very creative stories has been the approach that has secured international successes for Latin films. A good example is the film Aquarius, which took a real situation from the city of Recife and gave it a fantastical twist. The first year the festival opened with the premier in Brazil of The Commune by Thomas Vinterberg, which was a huge success. The festival shows recently published Nordic movies and focus on diversity – encompassing gender issues, culture and ethnicity. Besides film screenings the program invites for debates and meetings between Nordic and Brazilian film professionals. Furthermore, a selection of projects under development is picked for “speed pitching” sessions and receives feedback from professionals.